The European Commission allows Bulgaria to use national budget funding to finance payments under the SAPARD program, the Commission's Director General for Agriculture and Rural Development Jean-Luc Demarty wrote in a letter, according to a press release of the office of Deputy Prime Minister Meglena Plougchieva. The letter recommends that such payments be effected to fair beneficiaries on the basis of additional checks, BTA reports. Originally, the European Commission stopped the reimbursement of expenses under one of the SAPARD measures, and then under another two. Back then, the Commission also recommended not to effect payments using national funding. Demarty says in the letter that the European Commission will consider a resumption of European funding under the SAPARD measures which have been stopped after fulfillment of the action plan worked out by the SAPARD Agency, which includes legal analysis and additional checks by an independent auditor. The lifting of the ban implies that the Bulgarian State assumes the payment of funds under the stopped SAPARD measures. Bulgaria continues to honor its commitments to the European Commission in order to obtain the right to have the time frame for financing under the program extended until the end of 2009 and the national budget expenses to be reimbursed by the Commission. 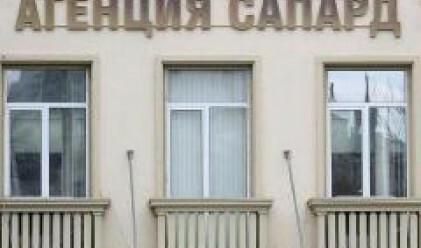 The Agriculture State Fund - SAPARD Agency has taken steps to extend until August 30 the deadline of the agreements of the applicants under the program, Plougchieva's office said. Approached by journalists, Plougchieva commented that on the basis of the presented action plan, its implementation and the expected future actions, it has been allowed to pay for good projects implemented under the procedures. The deadline expires at the end of August, and currently Bulgaria has the right to make payments using national funding, she said. The honoring of commitments under the plan should continue, so that there are more concrete results at the end of September, to restore the effect of SAPARD measures and to obtain permission from the European Commission to extend the duration of the program until 2009, she said. When the SAPARD money was stopped, the punishment was severe: Bulgaria did not have the right to make payments using national funding from the co-financing or from the national budget.